It may not be the most popular of sports in the UK. But cricket is way up there with regards to betting turnover. It’s jam-packed with trading opportunities and requires a certain style of trading that differs slightly from many other sports. Make no mistake that there’s a lot of money to be made in the cricket markets. And there’s certainly a good amount of traders who make a tidy profit, on a regular basis. Whether you solely trade cricket or just want to occasionally dabble, here are a few strategies and angles of thought to get you started! As with any sport, you need to understand the basics before putting money on the table. You certainly don’t need to understand every minute detail, but the basics will help avoid any catastrophic trading mistakes. The most important thing to understand about cricket is that there are multiple forms of it. Unlike football, a game of cricket can last anywhere from a few hours to a few days. Football does of course have five-a-side, but generally we are all used to betting on 90 minute, eleven-a-side games. One-Day Internationals (ODI). This is a form of limited overs and is usually fixed at fifty. Twenty20 is one of the newer forms of cricket, having been around since just 2003. It is yet another form of limited overs with a maximum number of twenty. Domestic cricket is usually split in to the following four categories. The most popular domestic league is The Indian Premier League (IPL), where they play Twenty20. South Africa v India on Betfair Exchange. This match was a one-day international game. I’d suggest you take some time to do a bit of research on the key differences between the many variations. All you really need to know for now is that ODI (One-Day International) and Test matches are the most commonly played in international games. ODI’s will typically last one day (surprise surprise!) and Test Cricket can last three to five days. Domestic matches will vary depending on the league. Here in the UK, we tend to play One-Day Cricket and Twenty20. These will typically last one day, however it’s possible that they are postponed until the following day due to the weather. Depending on the cricket trading strategy you’re going to use, it’s always helpful to have access to statistics about teams and players. ESPN Cric Info tends to be one the most widely used (and free) statistics websites. You will nearly always be able to find information about all fixtures. 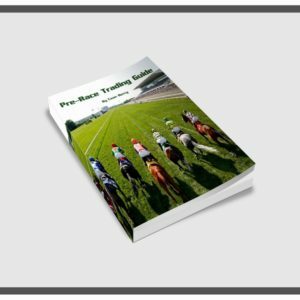 Typically, you’ll probably find yourself using sites like this more if you are taking the value betting approach, or trading a strategy that relies on research in some way. 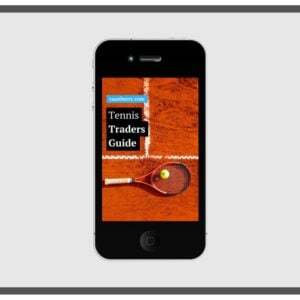 Pre-match cricket trading can be approached in a number of different ways, but ultimately there are two main approaches. Similar to football markets, pre-match odds are generally quite stable. Unless there’s some game-changing news announced that affects the market in some way. Pre-match cricket markets are different to pre-race conditions in racing, which is where most of my trading activity lies. Those markets are extremely volatile for the majority of the time. Pre-match markets in cricket, football or similar sports are like extremely flat in comparison. Pre-match markets are generally quite stable. However; there are a few factors which can really rock the boat, causing a sudden shift in price. If you can avoid the big news stories and scalp at a time where the market is most stable, you should be able to pick up a few profitable scalps. Even if all fundamental conditions remain the same, the market will naturally make small moves because of basic supply and demand principles. 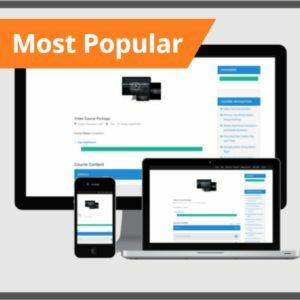 There will be moments of time where backers may simply not be at their desk and a big layer has entered the market for no fundamental reason. It is times such as these that we can scalp the pre-match markets for profit. Finding a suitable entry point is relatively easy. Simply find a market that has enough liquidity and is moving in a sideways direction. Match odds are almost always the best place to look for this kind of environment. They usually have the most money available and are most stable (on large matches). Major news being announced, that may affect the final result is the primary concern. 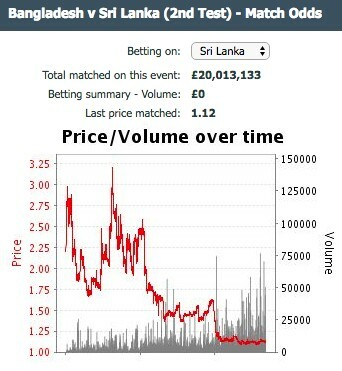 In the example above for the 2nd Test of Bangladesh v Sri Lanka, the market has had a volatile beginning. However, things are now fairly stable in the last 1/3rd of the chart. The odds are now sitting at around 1.12 and 1.11. Although there has been volatility because of previous news, the market has now settled and is a good candidate for pre-match scalping. By placing orders at either side of the book, it’s possible to profit from the price difference, however minor. In this case, you may want to place a back bet at 1.12 and a lay order at 1.11. If both bets are of equal size and get matched, you will be in profitable position. You can experiment with wider ranges and timings, but generally this strategy is fairly straightforward. Just make sure to be patient as it can take a while to get matched, if at all in such big markets. best to sit and wait for it all to blow over. Trying to scalp in a volatile market will usually end in tears. Perhaps the complete opposite of scalping pre-match is trading the big pre-match moves. These are usually caused by big news stories such as a key player being injured or weather conditions that may favour one team over the other. There are two approaches you can take to trading the news. Firstly, you can try and catch the initial move when the news breaks. However, it’s essentially “fastest finger first” as you can’t possibly sit on the market 24/7, waiting for news to break. Secondly, you can trade the secondary market moves after the initial moves have been made. Taking a look at the example below, you can see plenty of large moves that are quickly followed by a reversion to the mean, or somewhere thereabouts. When the initial news breaks (such as a player being injured), the market tends to overreact. This is almost always quickly followed by a bounce of some form. Highlighted above, the example shows this a number of times. This is essentially swing trading, so normal swing trading theory should apply. There are a number of ways to trade cricket in-play and unlike many other sports, you can usually take your time in making the trades. This is especially so for test cricket, as it can last up to five days! One of the simplest in-play cricket trading strategies is backing the batting team after an out. The market has a tendency to overreact after a batsman is caught out. This is probably due to the fact that teams take turns to bat and it can feel like the batting team are being overrun. Although that may be true, the batting team will still have an opportunity to bowl and do exactly the same, or worse to the bowling team. Of course, this method will only work on the first half of the match. Although it’s tough, there is opportunity for value betting in cricket. If you don’t know what exactly value betting is, I’ll clear that up first. Using an example of a dice, you have a ⅙ chance of landing on the number 1. If somebody offered you odds of 6.00, this would be a fair bet. On average over an infinite amount of bets, you would not lose or make any money. However, if they offered you odds of 4.00 for the number 1, you would be betting with a negative expected value. This is because the payout does not make up for the expected amount of times you will lose. Value betting opportunities arise when the odds are of higher value than you think they should be. In the example of the dice, getting 9/1 odds for landing on the number 1 would be a great value bet. In sports betting and including cricket, odds are largely based on statistical models and influence by the wider market. There is no model on earth that can predict sports results with 100% certainty, no matter how much we all try. The goal is to get to as close as certain as possible. If you calculate your own odds and they are lower than what the market is offering, then there is value to be had. Markets will often over react to certain news stories or favour popular teams more than they should. It’s at times like this where we can find odds of value in cricket markets. Although it would be nice, it’s impossible to win every bet. Value betting can take months to become profitable. You may have a whole month in the red, but overall if your method of calculating odds can outsmart the market where it needs to, you should be in profit. Thanks Caan for this beautiful piece of writing on Cricket.I was awaiting for a long time since its the only sport apart from Tennis is i am into. Would be very helpful if you can elaborate about value betting in sync with match reading.I find less entry points in Cricket as compared to Womens Tennis. One more point whats your view on scalping wickets in Cricket? Thanks for the kind words. A post on cricket trading strategy was long overdue I guess. Scalping wickets doesn’t appear ideal to me unless you have some kind of advanced bookmakers feed. I know that a lot of the big cricket traders may or may not have these ;). Like the womens tennis, for those of us without such information it’s probably best to stick to the highly erratic and emotional points within the market. 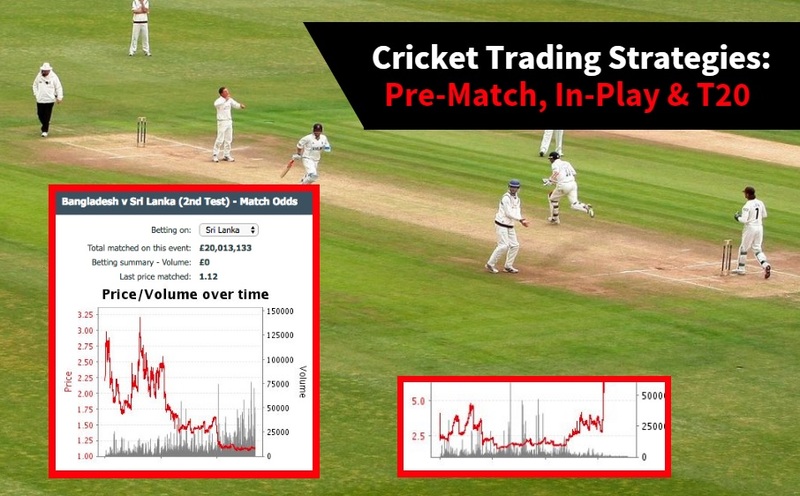 Hello, the best article I have found on trading cricket on Betfair. I can ask if you think it is profitable to go to cricket match with the expense? Laying the batting side works well on both ODIs and 20/20. If no wickets in the power play then sadly cash for a loss. But the ball is hard wickets fall regular in the first few overs.